Garbage collection is every Friday. It's recommended to have your garbage & recycling carts to the curb the night before. Advanced Disposal will only pick-up garbage if it is in the container. 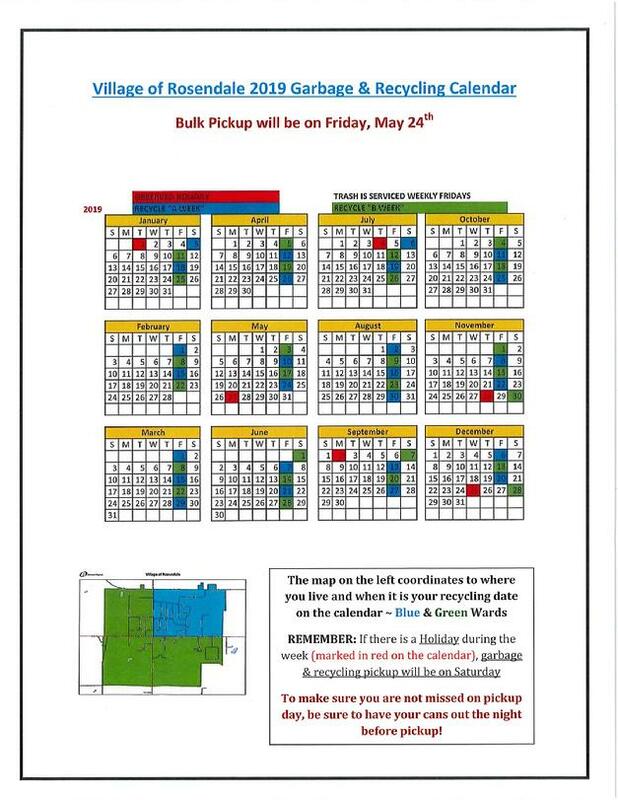 Recyclable materials are collected every other week depending on what "Ward" you live in. The goal of our recycling program is to reduce collection costs, create a cleaner, more efficient means of collection, and to promote a higher level of recycling by residents. Place all materials in the cart loose. Do not bundle papers or cardboard. Place all plastics, tin, glass and papers in the container first and then place cardboard on top. Flatten larger cardboard boxes and place next to the container. Allow a minimum of 3 feet between carts to allow clearance for the automatic arms to operate and dump the carts. 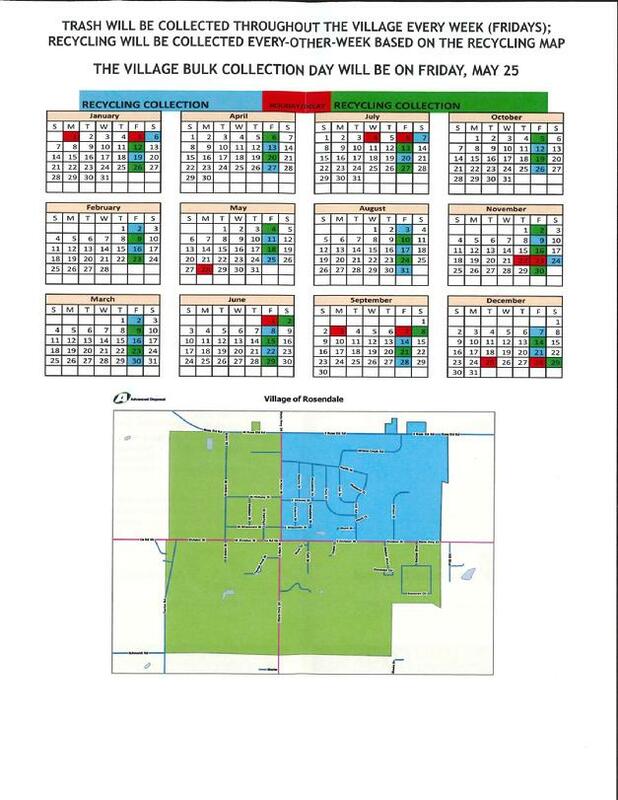 If you have any questions concerning recycling, please call the Public Works Department at 872-2664 or email.